In Colossians 3, Paul is clearly explaining to us how we should live our lives as believers in Jesus Christ. This is a wonderful chapter and worthy of study. He encourages us to seek those things above, get rid of all sin in our lives, be loving and kind to others, and let the Word of Christ dwell in us richly. Then he wrote, “And whatsoever ye do in word or deed, do all in the name of the Lord Jesus, giving thanks to God and the Father by Him” (Colossians 3:16). Right after this verse, he wrote, “Wives, submit yourselves unto your own husbands, as it is fit in the Lord” (Colossians 3:17). Wait a minute! There’s no verse above this one about being subject one to another and no verse below it that tells husbands to submit to their wives. How could this be? Doesn’t the Bible teach “mutual submission”? Aren’t husbands supposed to submit to their wives, too? NO! Husbands are NEVER commanded to submit to their wives. 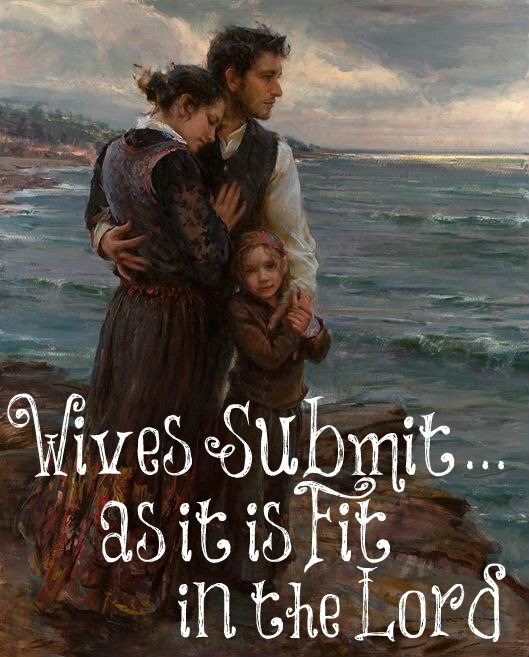 Now that it’s very clear to all of us that wives are to submit to their husband and this mutual submission in marriage isn’t biblical, what does it mean that wives are to submit “as it is fit in the Lord”? “…in the Lord— In obedience to the Lord, and in all lawful things” (Benson Commentary). Yes, some have tried to convince us that wives should submit to their husbands in everything, even if this includes blatant sin against the Lord. No, a wife should never submit if a husband asks her to do something that is evil or harmful. Other than this, I firmly believe that it is the husband who has the authority to lead his wife since he is God’s designated head over her. What about a wife’s convictions concerning modesty, being a keeper at home and not having a career, watching a movie that she finds inappropriate, and homeschooling her children even when her husband doesn’t want her to do this? What if the husband believes her modesty standards are too strict? What if he wants her to work outside of the home, watch a few movies that have some questionable elements in it, and send her children to public schools? Should she stand her ground and do as she is led? NO! So what if a husband asks a wife to dress not quite so immodestly? She needs to dress as modestly as she can within what her husband wants but continue to live in subjection to him with godly behavior. What if he wants her to work outside of the home? She needs to work outside of the home and pray the Lord will convict her husband by allowing her to come home but in the meantime, she needs to go about winning him without a word. What if he wants her to watch a questionable movie? One godly friend of mine has a husband who wants her to snuggle with her and watch some of these types of movies. She closes her eyes during those parts and prays for her husband. What about sending the children to public schools? She sends them to public schools without fighting him but living in subjection to his leadership and gives it all to the Lord in prayer. “Subjection of wives to their own husbands is ‘fit’ and proper in its own nature, by reason of the original creation of man, and of the woman from him: man was made first, and then the woman; and the woman was made out of the man, out of one of his ribs; and so, though not to be trampled under his feet, but to be by his side, and an help meet to him, yet not to be head, or to rule over him. It is what he requires, not only what the law of God requires, see 1 Corinthians 14:34 and which was enjoined originally, see Genesis 3:16 and was charged as a duty under the legal dispensation; but is what is commanded by Christ under the Gospel dispensation, and is to be observed by all those that are ‘in’ him, that profess to be new creatures, converted persons, that so the word of God be not blasphemed, and the enemy have no occasion to reproach, see Titus 2:5 though this phrase may also be considered as a restriction and limitation of this subjection; that though it reaches to all things, yet only to such as are agreeable to the will of the Lord, and not contrary to the Gospel of Christ; for in these they are not to be subject to them, but to Christ the Lord; but in all other things they are, even as the church is subject to Christ: and when this is the case, such subjection is regarded by Christ as if it was done to himself; and indeed his honour and glory should be the governing view in it; see Ephesians 5:22” (Gill’s Exposition). As godly women who are in Christ, these are our instructions. We are to submit to our husbands in everything unless they are clearly in violation of God’s Word and not simply our own convictions. Yes, some women try to pull small passages from the Old Testament to form their modesty standards but if God wanted clear modesty standards for the Church, His bride, He would have had the Apostle Paul or one of the other New Testament writers clearly state them. Many women, me included, can easily make a case from scripture that God wants younger women to be keepers at home, raise our children in the nurture and the admonition of the Lord (not public schooling), and not watch any movies with any type of ungodliness in them but for a woman who is married to an unbeliever or a husband who is disobedient to the Lord, she has little hope of winning her husband to the Lord if she is continually fighting his leadership and demanding her own way based upon her convictions and the Word. I believe this is why God specifically calls her to live in subjection to him in order to win him “without the word” (not constantly sharing her convictions or the Word with him) unless he asks her to do something evil or harmful to herself of her children. I believe this is why God used Sarah as our example in 1 Peter 3:6 of obedience to her husband. 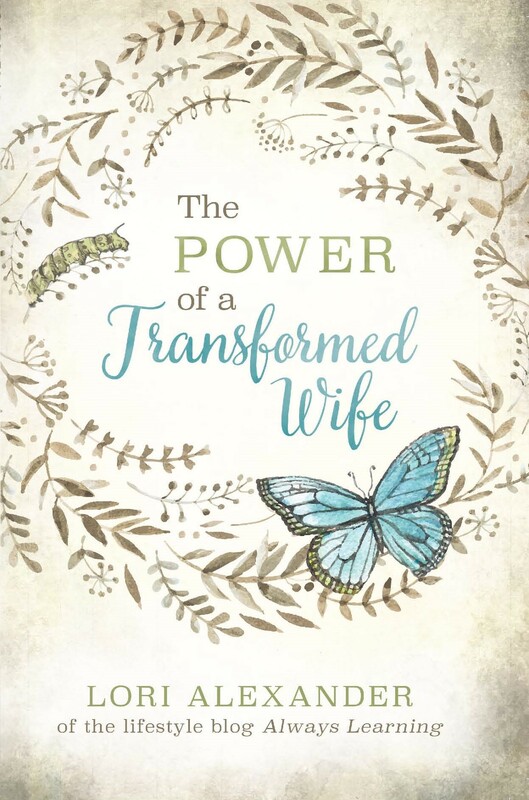 Abraham clearly asked her to do something that was against God’s clearly stated Word (tell a lie) and we are called to live in subjection to our husbands, too, and not to be “afraid with any amazement” but to trust in the Lord and His protection. Hi, just wanted to point out that Sarah did not lie. Abraham said to tell the king that she was his sister. She was his sister because they had the same father but different mothers. It’s stated in Genesis. No, Abraham wanted her to lie and not tell them that she was his wife. I asked my husband about this, and he pointed out that Abram was trying to create a diversion. Not necessarily a full blown lie. (Although a lie is a lie) if a husband asks a wife to rob a bank for instance, rather than give an outright no, she needs to be willing to obey with a whole heart, then pray and ask God to intervene and change her husbands heart. And could even go to the police and tell them of her husbands intent and when it will take place and because of your faith, are obligated to be willing to obey. But you think that it is wrong and he needs justice to be served. So even if Abram had asked Sara to lie, rather than give an outright no, she had to be WILLING TO OBEY WITH HER WHOLE HEART, but come before God and ask Him to intervene and change Abrams heart. If he chose not to, Sara had to be willing to go ahead wih the plan, but knowing her heart, God would of somehow blessed her for her submissive spirit and willingness to obey.so the question is, are we always willing to obey no matter what? We do not have to do anything sinful, but how willing are you to obey? We obey whether we feel like it or not. Only a perfect person would willingly obey all of the time since we tend to want our own way and don’t like being told what to do. It’s a continual denying of ourselves and obeying what the Lord has commanded us to do. The more we practice this, the easier it will become. 6) you do not what wives to be “holy women” like Sarah, who lied for Abraham, at his instruction. I find the discard of scripture in this post very unsettling. …but they are at odds with the post today 11-2-17. That was a period, as in NEVER. I could not agree more. “as it is fit in the Lord”?